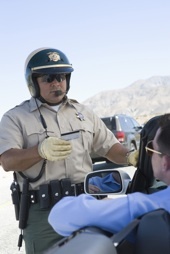 Traffic Ticket Suspension | Illinois Traffic Ticket Suspension Lawyer The Davis Law Group, P.C. Contact Cook County Traffic Law Lawyer The Davis Law Group, P.C. Traffic ticket convictions can result in the suspension or revocation of your Illinois driver’s license by the Secretary of State. Illinois drivers 21 years of age or older face a driver’s license suspension for three (3) moving violation convictions within one year (any rolling 12-month period). Unlike many other states, the number of moving violation convictions (i.e. three) causes a license suspension rather than the number of points associated with the individual violations. However, points are used by the Illinois Secretary of State to determine the length of a driver's license suspension or of a license revocation. Points vary depending on the nature of the violation and are set forth in the Illinois Administrative Code. Points range widely depending on the offense. For example, drivers are assessed 5 points for speeding 1-10 mph over the limit, but 50 points for speeding 26+ mph over the limit. More information on the Illinois traffic ticket point system is available here. Illinois drivers under the age of 21 face a license suspension or revocation for two or more moving violation convictions within two years (any rolling 24-month period). Additionally, if a driver under the age of 21 has been previously suspended, an additional moving violation conviction after the end of the suspension, but before the driver turns 21, will re-suspend or revoke his or her driver’s license. Drivers under the age of 21 are held to a higher degree of responsibility when it comes to traffic violations. It is important to note that certain traffic offenses result in an automatic driver's license suspension. For example, a conviction for passing a stopped school bus or driving without valid insurance triggers an automatic 3-month license suspension. If your Illinois driver’s license has been suspended or revoked for too many moving violations, The Davis Law Group, P.C. may be able to help. Often, drivers will pay traffic ticket fines by mail, online or fail to pay the fine altogether. Mailing in payment or paying a traffic ticket online often results in the entry of a conviction on your driving record. In addition, ignoring a traffic ticket may result in an ex-parte judgment, failure to appear, or bond forfeiture conviction entered against you. Convictions may be entered for other reasons, such as failure to complete traffic safety school. Often, our traffic attorneys can work to vacate and remove one or more of the convictions on your driving record. By reopening your case, we may be able to replace your moving violation conviction with an order of court supervision, allowing us to completely remove the suspension of your driver's license. In fact, if action is taken immediately upon receipt of your 'Notice of Suspension' from the Secretary of State, it may be possible to clear the license suspension before it ever goes into effect. Moreover, this process may avoid the need to have a hearing with the Secretary of State to regain your driving privileges or pay costly reinstatement fees. The Chicago Area driver's license attorneys and traffic attorneys at The Davis Law Group, P.C. represent clients throughout Illinois including Cook County, Lake County, and DuPage County. Our professional and knowledgeable defense attorneys have decades of combined experience in Illinois traffic law. Contact us today so we may work to clear your Illinois driver’s license suspension or revocation.